The day after I switched from my iPhone 4 to the Samsung Galaxy S II, I woke up late for a meeting. I had set the alarm. I had plugged in the phone. I did everything right, and then I placed the phone screen-up on the corner of my bed, like I have always done, and went to sleep. The alarm did go off, but because the speaker is placed on the back of the phone, it was muted by the bedsheets. As it turns out, any time the Galaxy S II is placed on a flat surface with its screen up, the audio is muddled. If it’s placed on a soft surface – such as a tablecloth or a bed, it is almost entirely muted. After a few days of trying to remember to place the phone screen-down on my bed before falling asleep, and forgetting at least twice, I lost faith in the Galaxy S II’s ability to wake me up. I switched back to an alarm clock, something I haven’t used since 2007. I figured this must have been an issue with the Galaxy S II, so after fifteen days I switched to the Google Nexus S. It has the same problem. 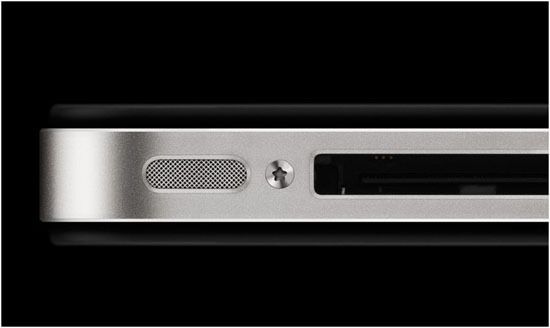 In fact, it’s even worse, because the speaker grill on the back of the phone isn’t at an angle. Even when you place the Nexus S on a flat surface, its speaker becomes almost inaudible. 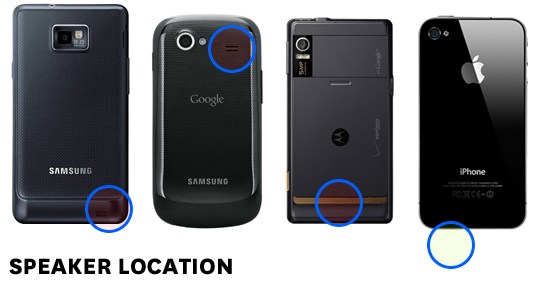 I did some digging, and discovered that almost all Android phones from Samsung and Motorola put the speaker on the back of the device. This is a glaring flaw in a fundamental feature of nearly every popular Android phone. On the other hand, I’ve always been slightly irritated by the iPhone’s speaker. I felt that putting it at the bottom of the phone was awkward, because it’s not pointing toward me when I put the phone flat on the table. But, as it turns out, it was put there for a reason: no matter how you put an iPhone down on a surface, it’s almost impossible to cover the speaker. Yet another one of those design decisions that you don’t really appreciate until you see someone doing it wrong.